Westend Electrical provides high quality electrical services to Brough, Hull and throughout Yorkshire . Our professional, qualified and reliable electricians can tackle any project, from domestic rewiring through to complete commercial electrical installations, catering to your exact needs. 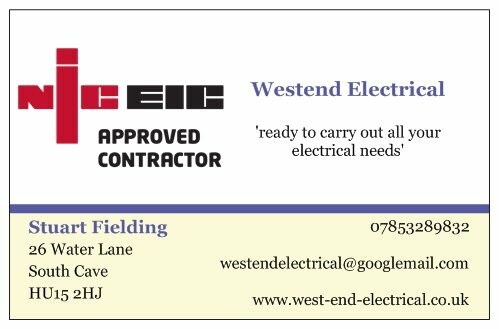 Whatever your size or scale of project, Westend Electrical can help, so contact us today for a completely free, no obligation estimate.